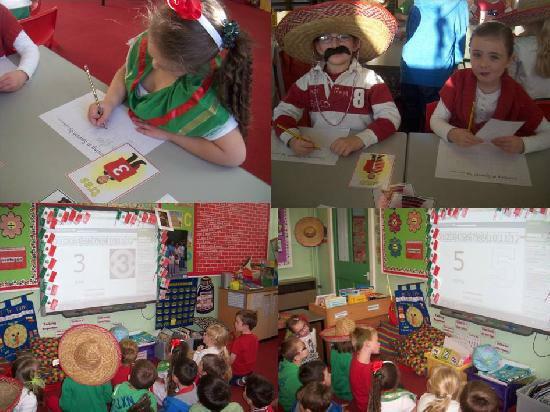 This half term Year 2 have been learning about Mexico as part of their geography topic. 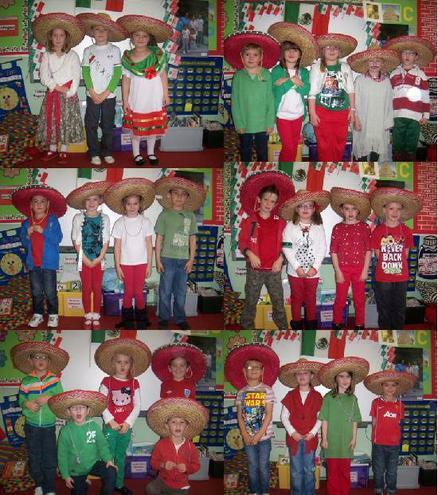 So, on the last Friday of half term all of Year 2 came to school dressed in Mexican colours. Everyone was very excited! We started our day with Wake and Shake to some traditional Mexican music. 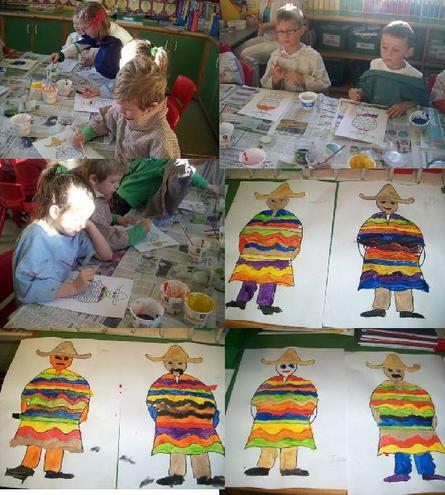 Our paintings of Mexicans in ponchos were very colourful. 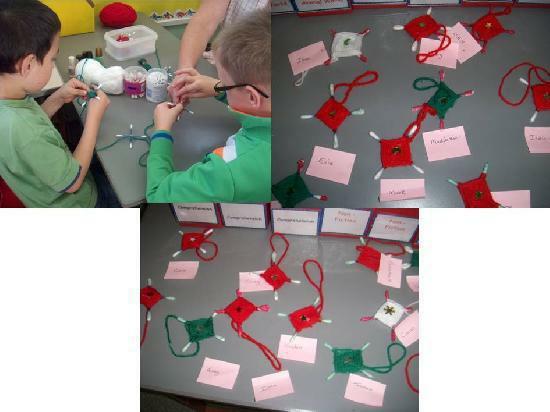 We used wool to create God's Eyes, a symbol of good luck for Mexicans. Everyone coloured in a Mexican flag. As the Mexicans speak Spanish, we all learned how to count in 10 in their language. Spanish bingo was another of our activities. 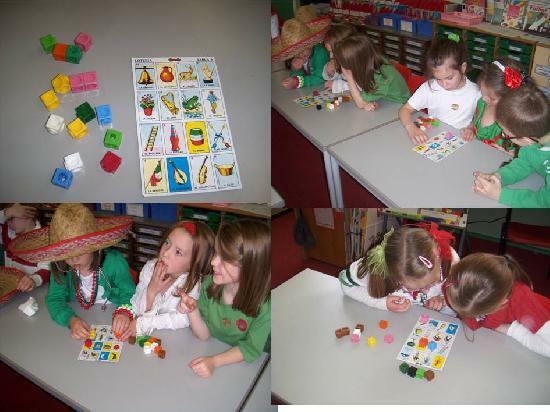 It was quite difficult looking for the Spanish words on the cards, but we had fun looking for them!! Our favourite activity of all was the food tasting!! 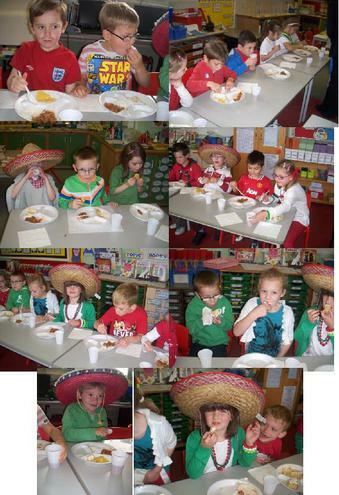 We tried chilli, rice, tortillas, tortilla chips and a traditional Mexican cake that was very sweet!! Lots of us discovered that we liked some food that we'd not tasted before. 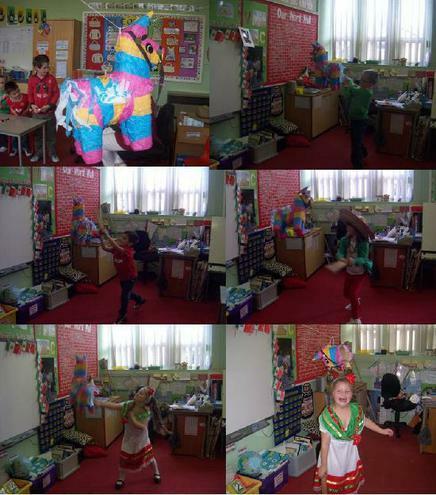 Finally we all had turns at hitting the Pinata Donkey and some children were very enthusiastic with the rolling pin!!! Lillias was the one who knocked his head off & handed out the lollipops that were inside it. By then it was home time and we had all had a wonderful, exciting Mexican day!